I’ve been enjoying salads a lot this summer and it’s been a great way for me to enjoy a completely raw meal at least once everyday. Even though I tend to be a creature of habit, I like to switch things up a bit every now and then. One of my favorite things to have with an authentic Mexican taco is Radish (Rabano in Spanish). When you are biting into that spicy, tasty taco you usually have your radish standing by to neutralize the situation. 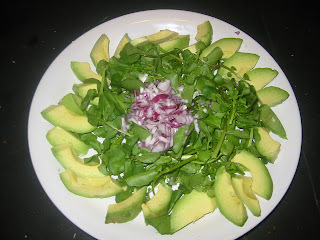 I had to switch things up a bit because I have been on an avocado salad rampage since spring, usually adding watercress, red onions but always an avocado within reach. 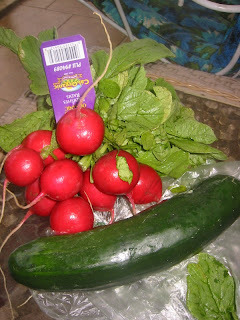 This week however, I decided to highlight cucumbers and radishes and give them creamy avocados I love so much a break. 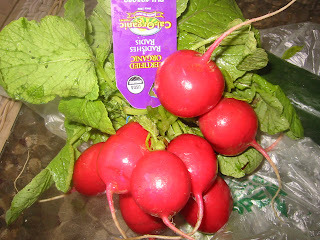 I got this bunch of radishes at my local supermarket for $1.39 which was moderately priced for an organic product (I tend to see lot of outrageously priced organic veggies). I also picked up a cucumber, 75 cents each. 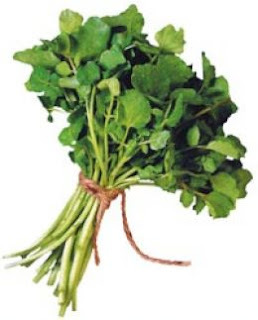 Jaundice: Radish is very good for the liver and the stomach and it is a very good detoxifier too, that is, it purifies blood. Kidney Disorders: Being diuretic, cleanser and disinfectant, it helps cure many kidney disorders. 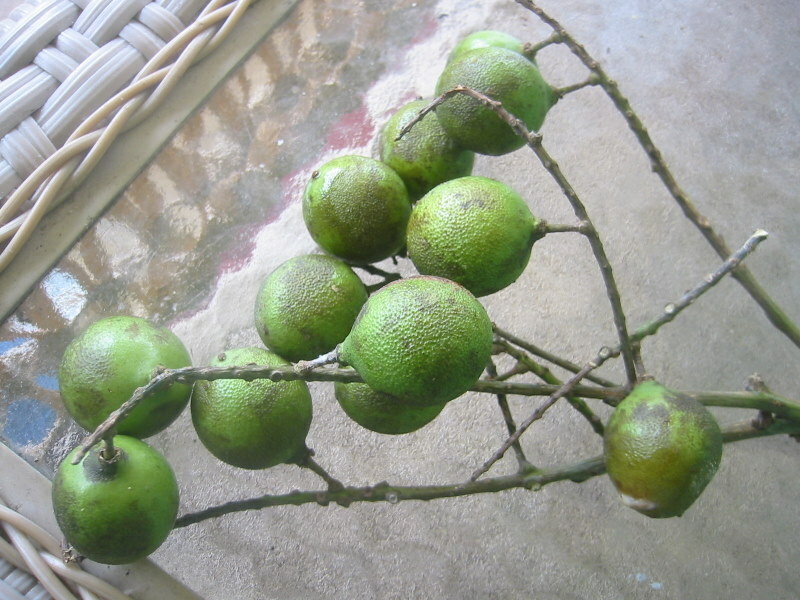 Its diuretic properties help wash away the toxins accumulated in the kidneys. 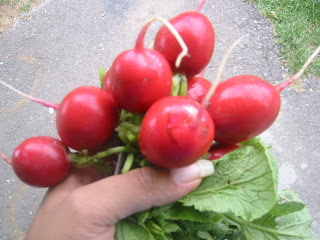 Weight Loss: Radishes are very filling, i.e. 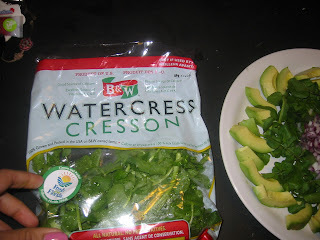 fills your stomach and satisfies your hunger easily without giving you many calories, as they are low in digestible carbohydrates, high in roughage and contain a lot of water. It is a very good dietary option for those determined to lose weight. Radishes are a very refreshing source of antioxidants essential for the scoping out of free radicals which causes the onset of internal and external aging and like it’s family members (broccoli, cabbage) radish can be a great vegetable against cancer causing toxins. Essential for maintaining healthy skin and overall health, radishes are great choices for Vitamins A and C. It helps lower cholesterol, treats cancer sufferers, improves the immune system, eczema, constipation, gall stones and bladder issues. Radishes are also known for treating thyroid problems mostly for it’s healthy sodium content. Cucumbers are also very refeshing and helps the skin tremendously thanks to it’s high water content. Like radishes, cucumbers are high in vitamin A, C again essential for a healthy immune system and clear skin. Cucumbers are also high in fiber making it an ideal remedy against constipation as well. 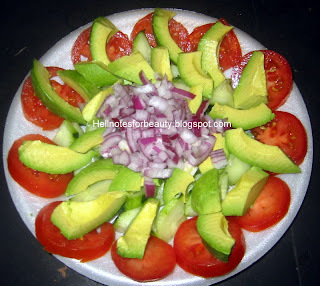 This is truly an ideal cooling salad, feels very fresh and is very simple to make. 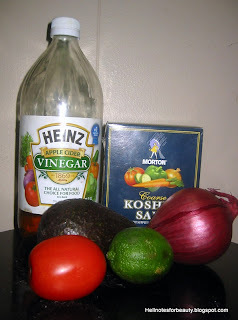 I just drizzled some Extra Virgin Olive oil and a pinch of Kosher salt and half a red onion. 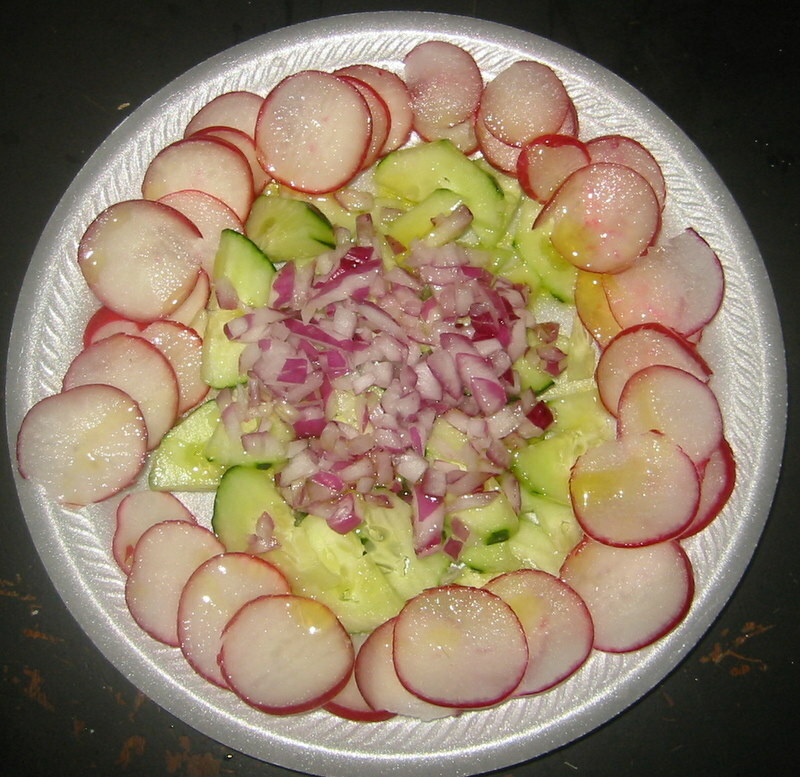 I chopped the cucumbers into half circles and thinly sliced the radish. Radishes have a rather earthy, peppery taste ideal for any sandwich. I like salads very much because I can usually pair it with any meal I like. Eating healthy while not depriving myself. Whenever you are on the train in NYC and you see someone carrying this bright orange bag, you know they got something very interesting from Chinatown. 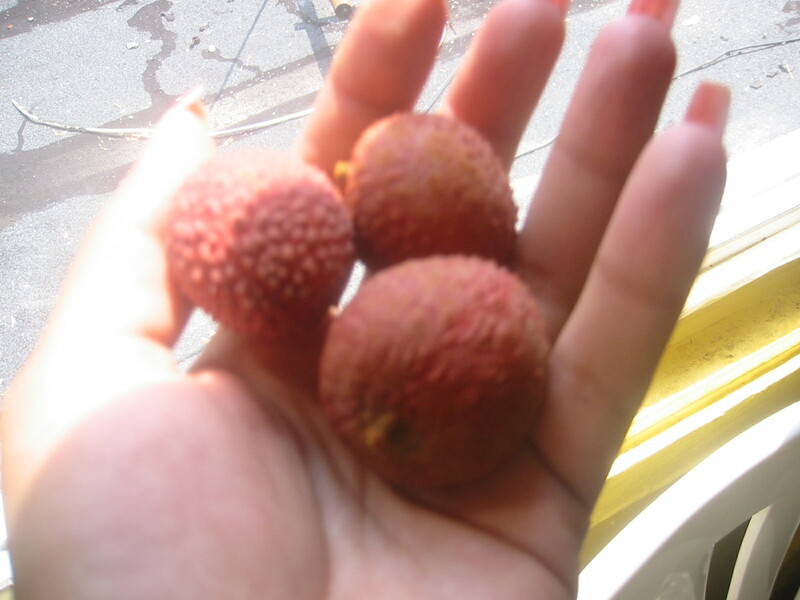 I was passing through Chinatown the other day and picked up some lychees, 2lbs for $3. 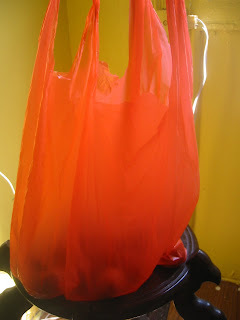 You can usually find them along Mott st. and surrounding markets. 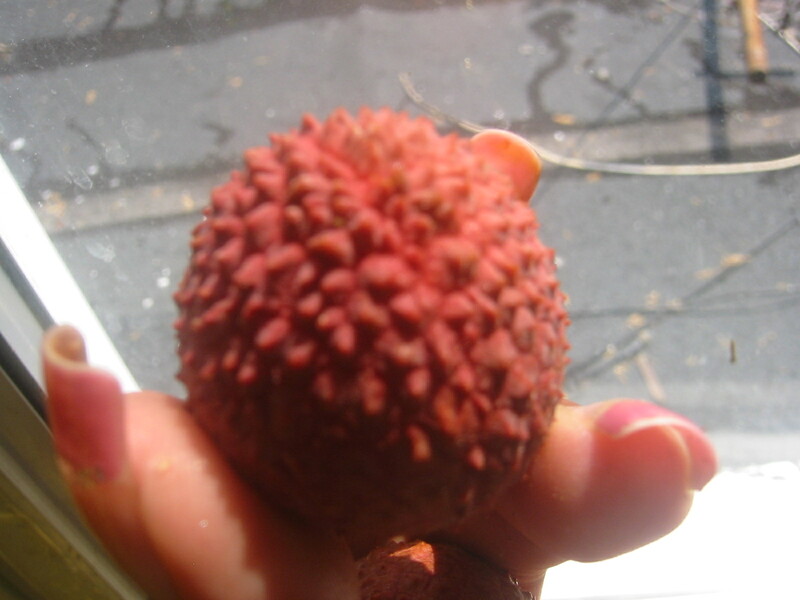 For those who don’t know, lychees are a very popular fruit throughout Asia. Lychees are very nutritious and contains vitamin C, Potassium, Copper and provides an array of health benefits. Lychees are also known to aid with intestinal health, sore throats, and basically contributes to overall well being. When I first tried Lychees out I was immediately reminded of quenepas (more on them later). 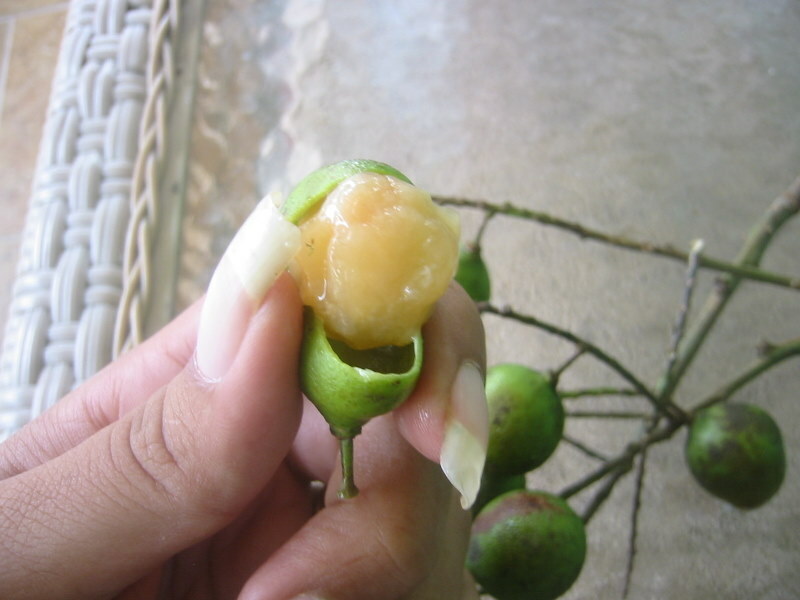 Just like the quenepas (Spanish limes), you crack it open to reveal the fruit inside. 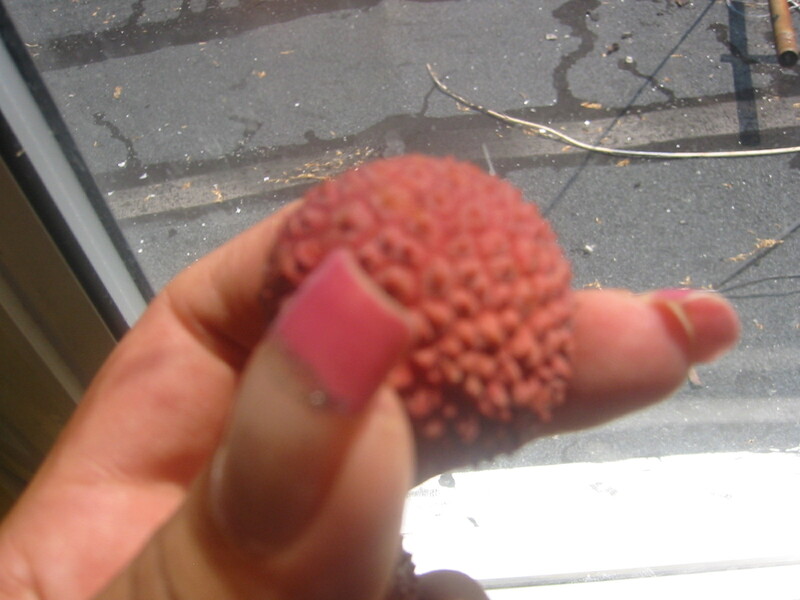 The outside shell of the lychee is rather stubbly and bumpy. to reveal a sweet juicy heaven! 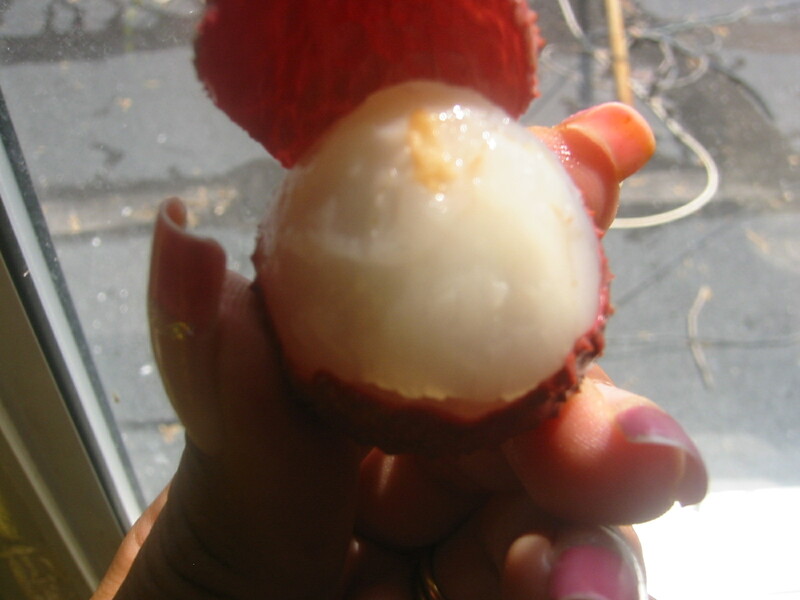 The seed of the lychee is surrounded by the juicy pulp you eat. This is one very unique taste and I had like 20 in one sitting and not one tasted sour at all. 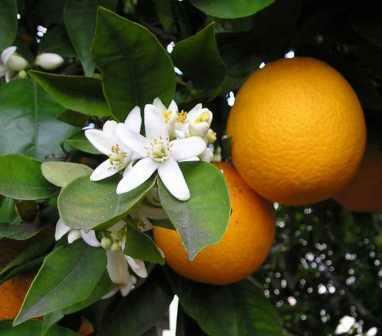 Each one had such a sweet taste and alluring scent (almost like pomegranate), it was amazing. Now let’s try Quenepas out (Spanish Limes)! 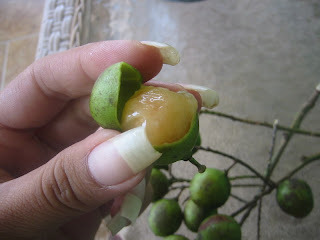 I have so many memories with quenepas, limonsillos, mamoncillos, kenep, genip (they have so many names). These are also known as Spanish limes and they are truly a great part of my childhood summer memories. 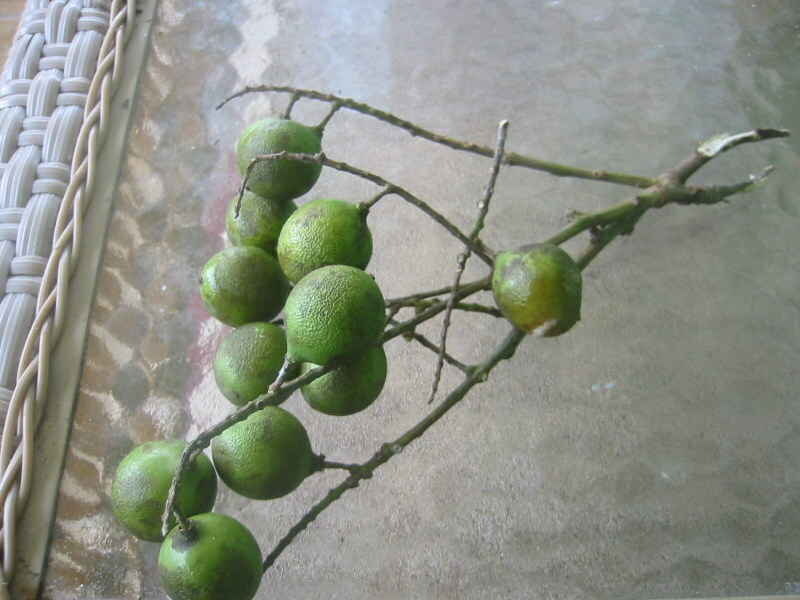 Spanish Limes are very popular throughout the Caribbean and locally you can find them in many Dominican, Puerto Rican produce markets. 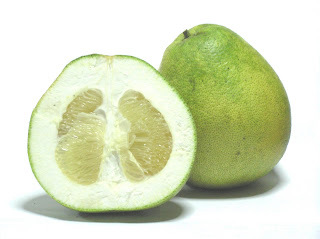 Some say quenepas are a cross between lychees and limes but who knows really? I did not find a lot of nutritional information on quenepas other than it contains most of the same vitamins and minerals as lychees. So quenepas and lychess basically helps alleviate both stomach and throat problems. Unlike the lychees bumpy exterior, quenepas have a very smooth texture and they do look like small limes. 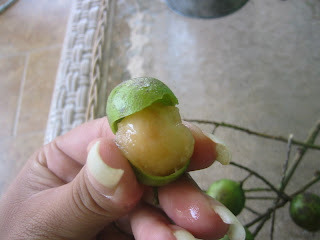 Like the lychees, you crack open the quenepas and the pulp surrounded by the seed is what you eat. Quenepas have this weird coating over it which is what I really don’t like, and has a tangy taste, not sour just a light tangy taste. 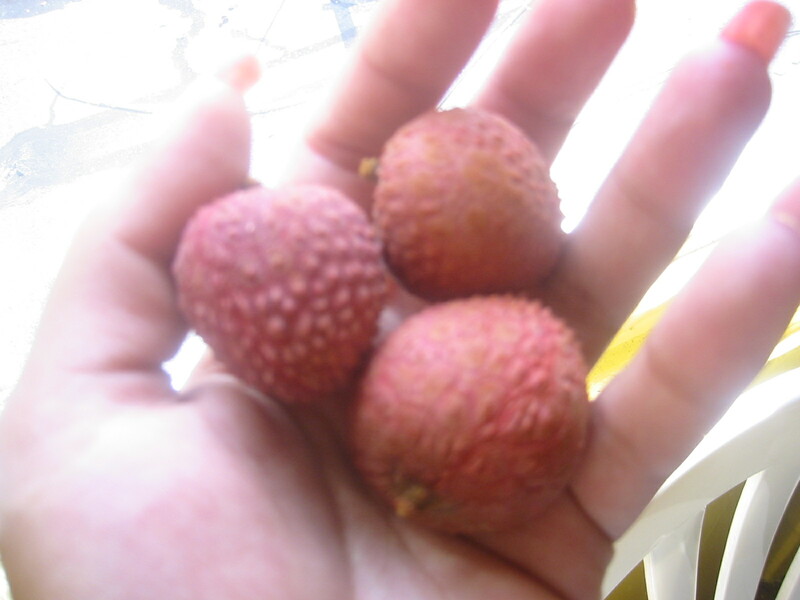 They were not as sweet as the lychees but nonetheless they are amazingly good . 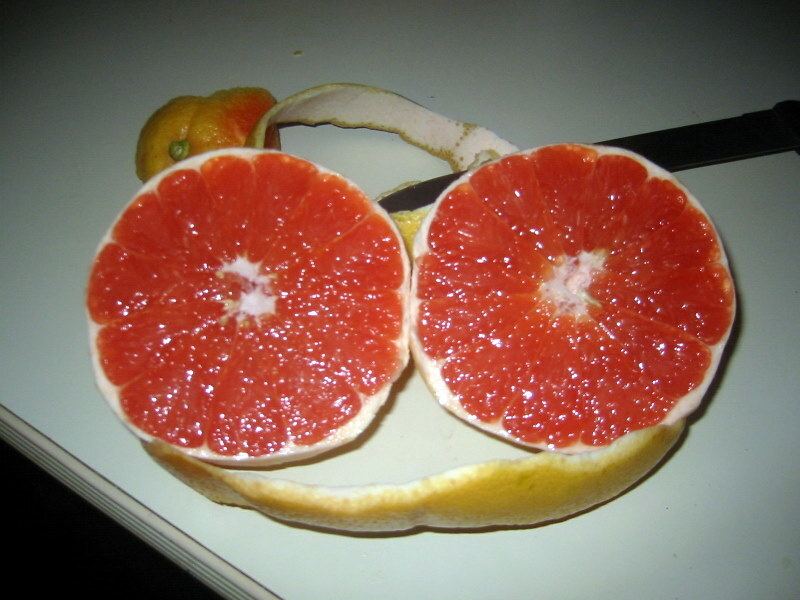 So make sure to always look around and discover great fruits which are secretly sitting in amazingly great flavors. These are great to have chilled maybe in the fridge for a couple of hours or have it sitting on ice. So for this match I have to say lychees are my new favorite snack. 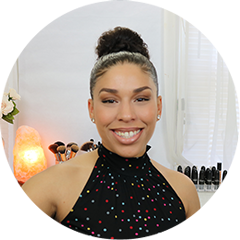 Lychees are so sweet and have an amazing aroma and with my sweet tooth tendencies this is a great light and refreshing alternative. Now that summer is just about here I’m slowly saying good bye to my winter comfort foods. This is perhaps one of my most favorite things to eat for breakfast. 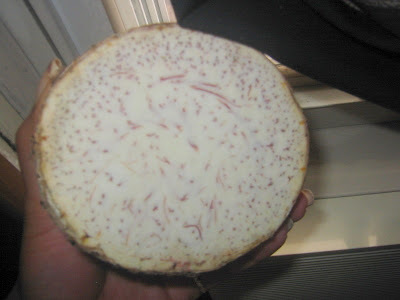 Malanga as I know it (many varieties of names, yautia coco being one, I like malanga however) is a very tasty tropical root in the taro/yam family I believe. I never really knew what malanga’s exact health benefits were other than I would be full for hours after eating malanga. However I was reading that it can be a great substitute for flour especially for those who are allergic to it and is high in riboflavin and thiamine. Malanga is a very versatile vegetable pairing up greatly with almost anything. Malanga can be prepared just like you would regular potatoes. Peel the skin, cut them into pieces, boil, mash them up and add butter or whatever. I like to just add olive oil and light salt. Malanga has such a nice soft taste and aroma especially when it’s boiling. It’s like the more elegant exotic version of plain old potatoes. Malanga on the outside looks rugged but when you cut one up you are left with what seems to be purple streaks which almost looks like strands. When it boils the white background turns into this light blue purple as well as the water its boiling in. I like to chop up pieces of malanga and add them to my soups to thicken it a bit. You can also bake them, I prefer them boiled, since I really like it’s creamy texture. You can have malanga with anything. Hard boiled eggs, a piece of ham, vegetables, cheese, and my favorite bacalao (cod fish). Malanaga deliciously balances the salty tendency of the cod fish. 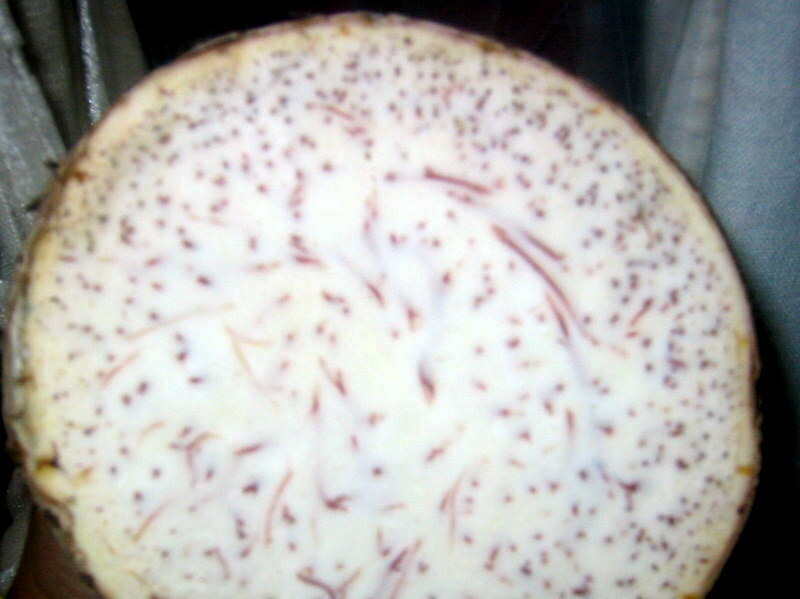 Malanga can be found year round at your local Latin American produce shops as well as most china towns. Try not to confuse malanga with the rest of the yams. Which I happen to not like much. 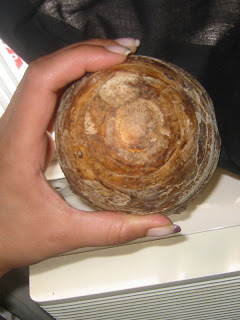 Malanga tends to be round and oval, not long or skinny like the other yams. Malanga is also great for toddlers who are starting to eat solid foods. Keeps them full and satisfied for hours.